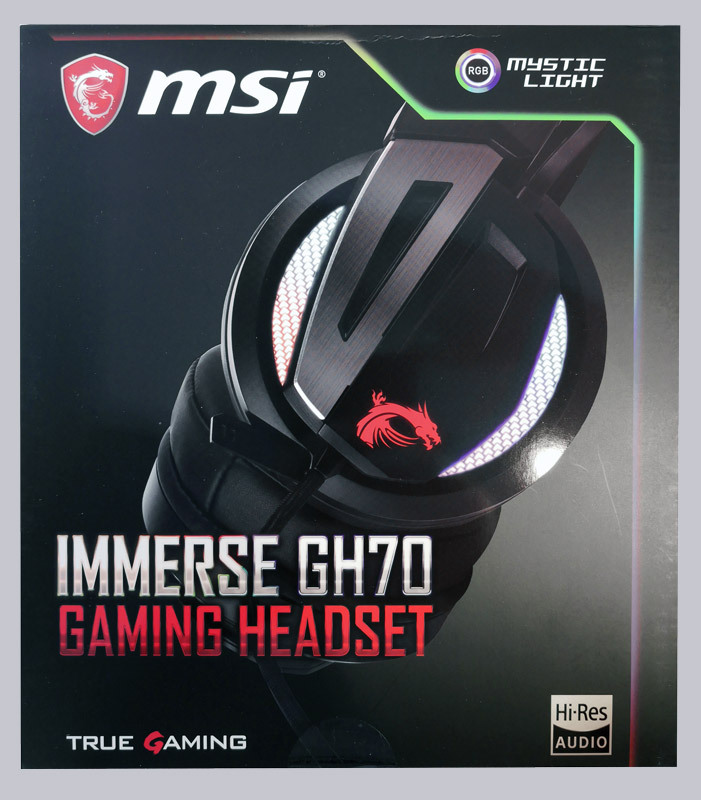 As part of the MSI Test-IT 8.0 action, I am testing the MSI Immerse GH70 USB 7.1 Gaming Headset with Mystic Light for you. 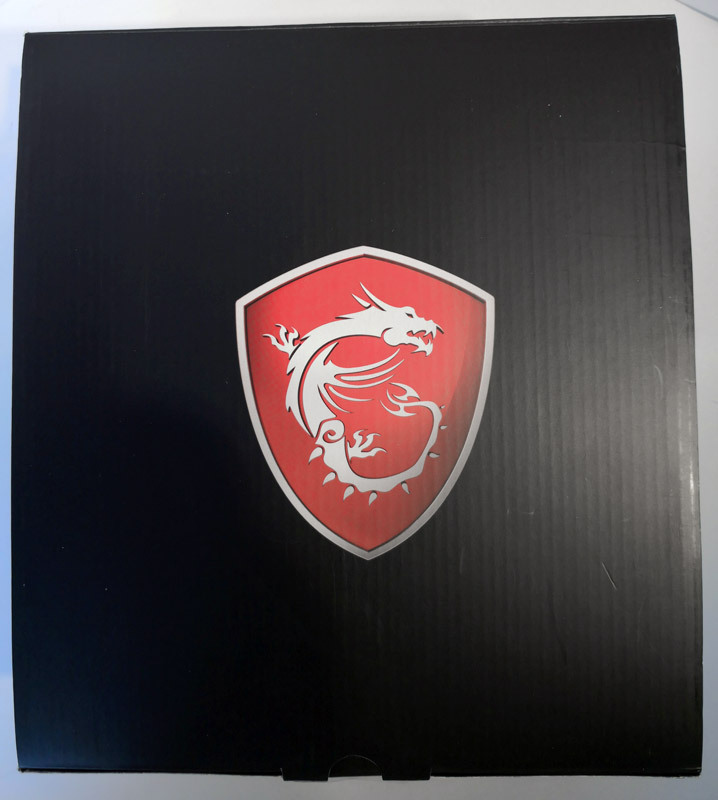 The packaging is black with white and red lettering and a product image. On the back we find the product features. ... reveals the product features in large print for effective advertising. 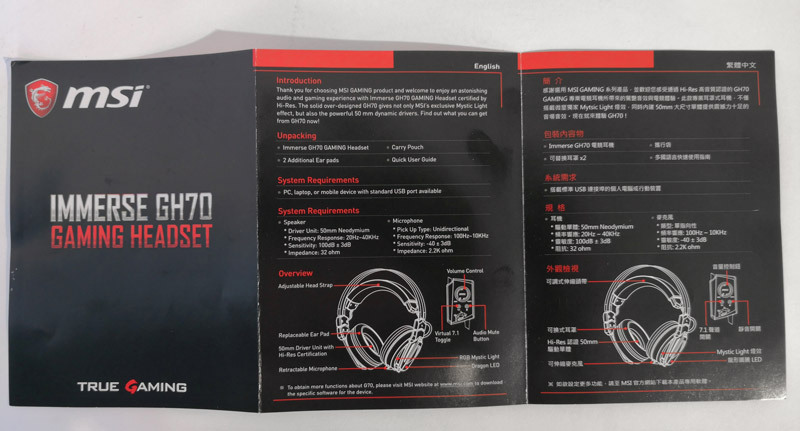 The bottom side is printed with the technical specifications. 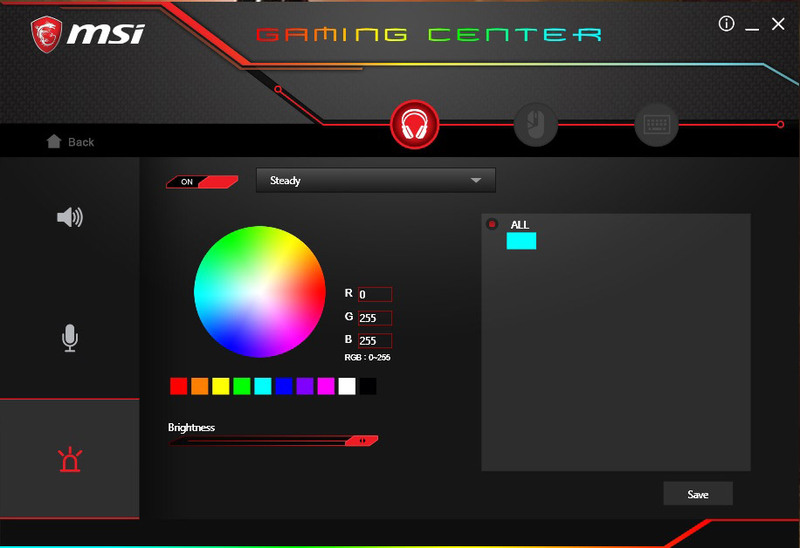 If you remove the outer box, you get to see the MSI logo in full splendour. 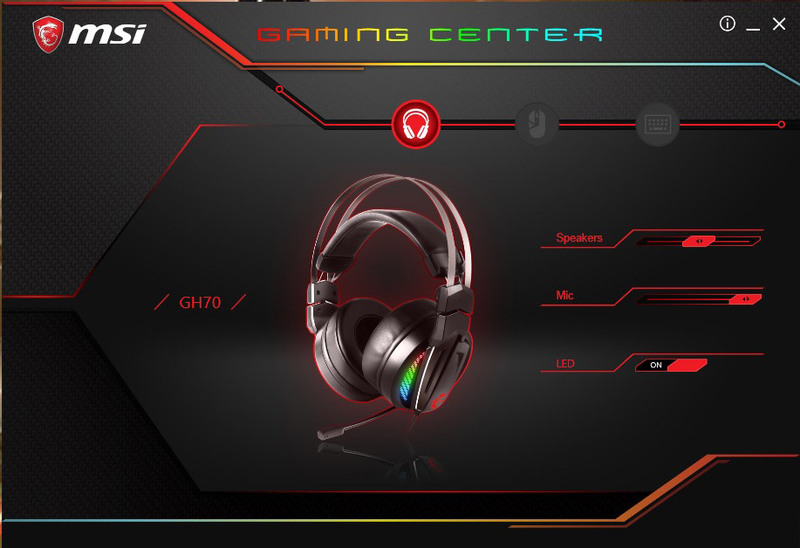 The headphones are constructed in the classic Overear design with circular ear cups which are equipped with a RGB lighting controlled by Mystic Light from behind. 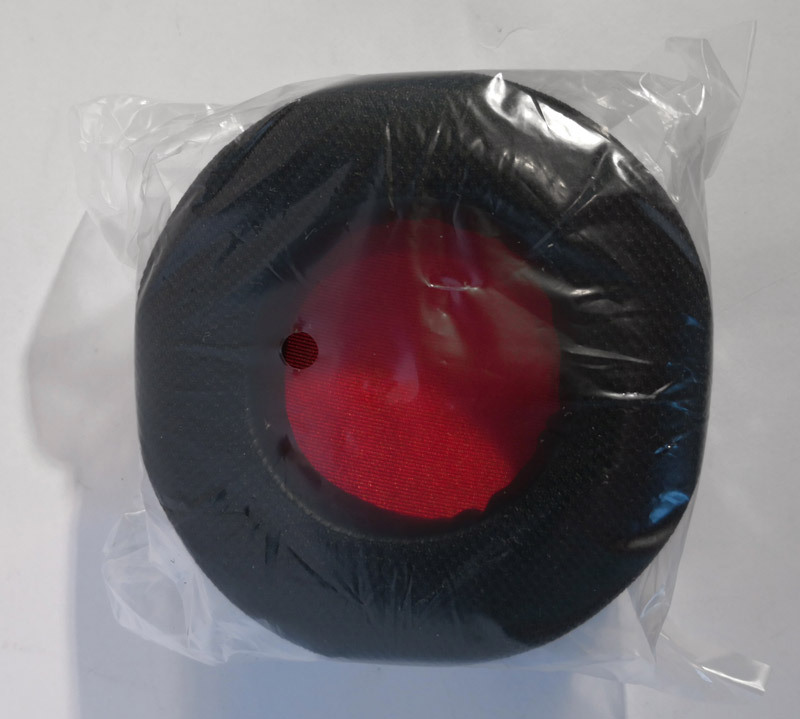 The ear cushions can be replaced, which is quite easy. Unfortunately, the whole thing is a bit fiddly, since you have to push the PU hem into a narrow incision. 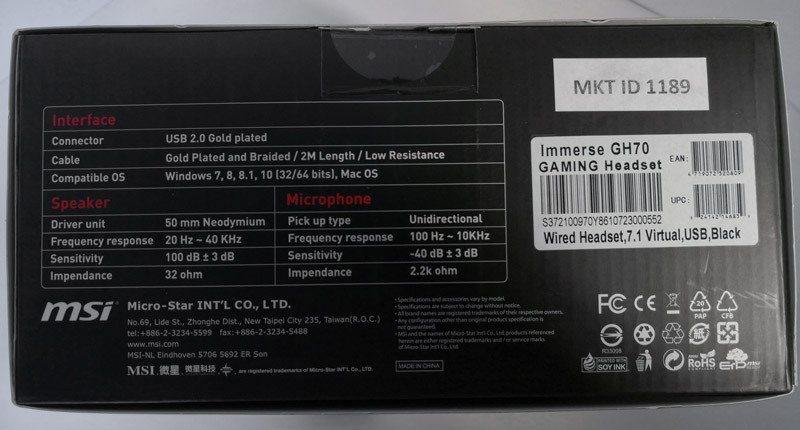 The 2 meter long cable is firmly connected to the headphones, the headset is connected via a gold platinum-plated USB plug. 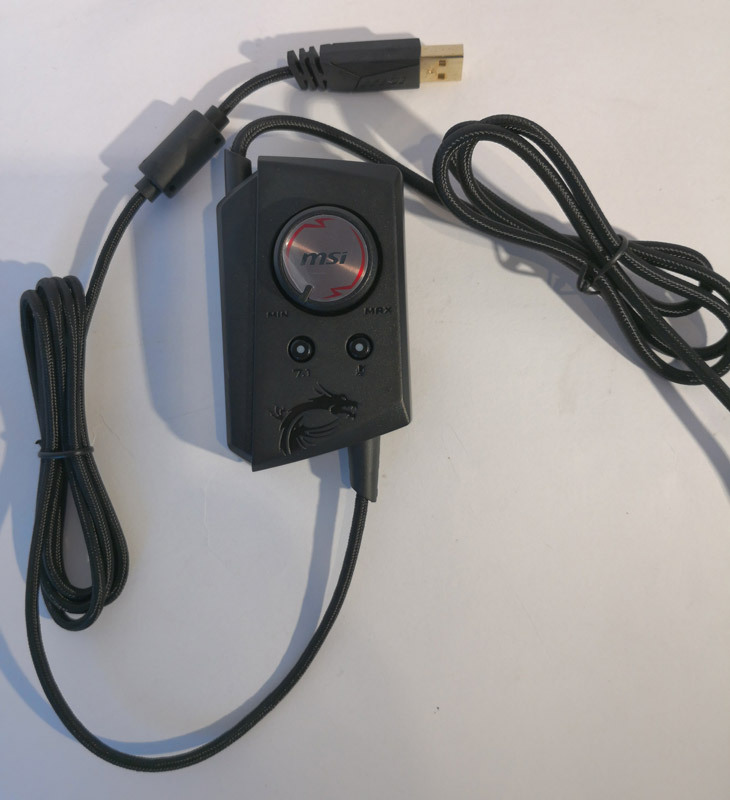 In addition, the cable also contains the control for the headset, here you can switch the microphone on/off at the touch of a button. You can also switch the sound from 7.1 to normal stereo sound, a volume control is also integrated in the cable. 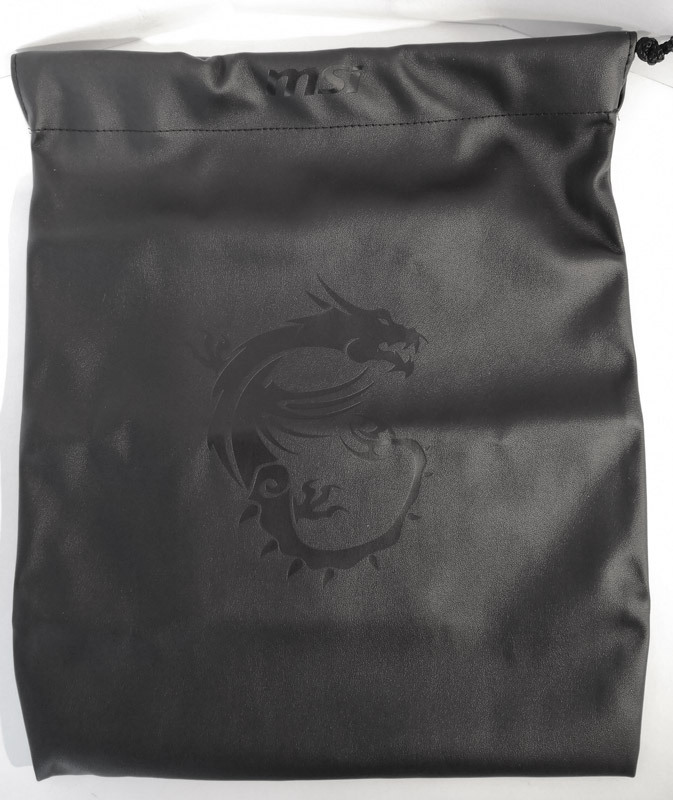 The cable is completely covered with fabric and therefore very durable, unfortunately a bit stiff. But I don't see that as a disadvantage. 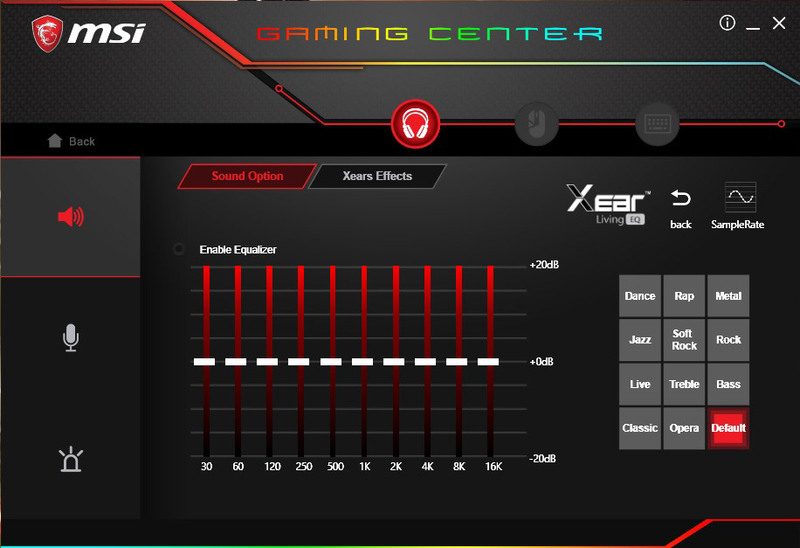 For testing I used different games with the onboard sound of the MSI X470 Gaming M7 AC, a Realtek chip controlled by Nahamic software. Of course I have to say that this test is purely subjective and can only reflect my own opinion. As game reference I use The Witcher3, Diablo III, Battlefield 1, Star Wars: The old Republic and Dark Age of Camelot. 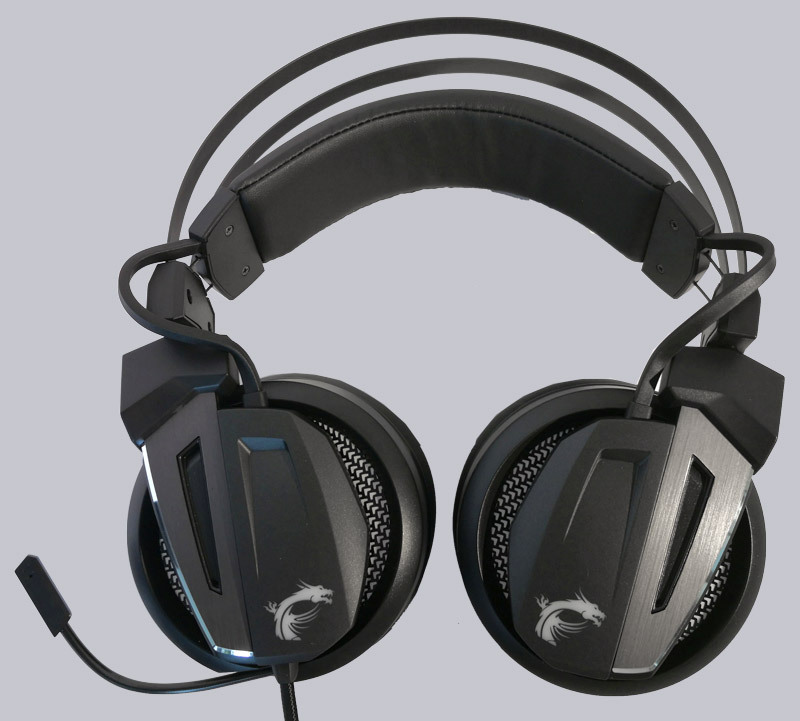 The gaming design of the headphones are clearly noticeable relatively bass heavy. Nevertheless, the overall sound is very dynamic and gives a very good feeling of space. Everything can be assigned very well. Noise orientations can also be recognized well and cleanly. 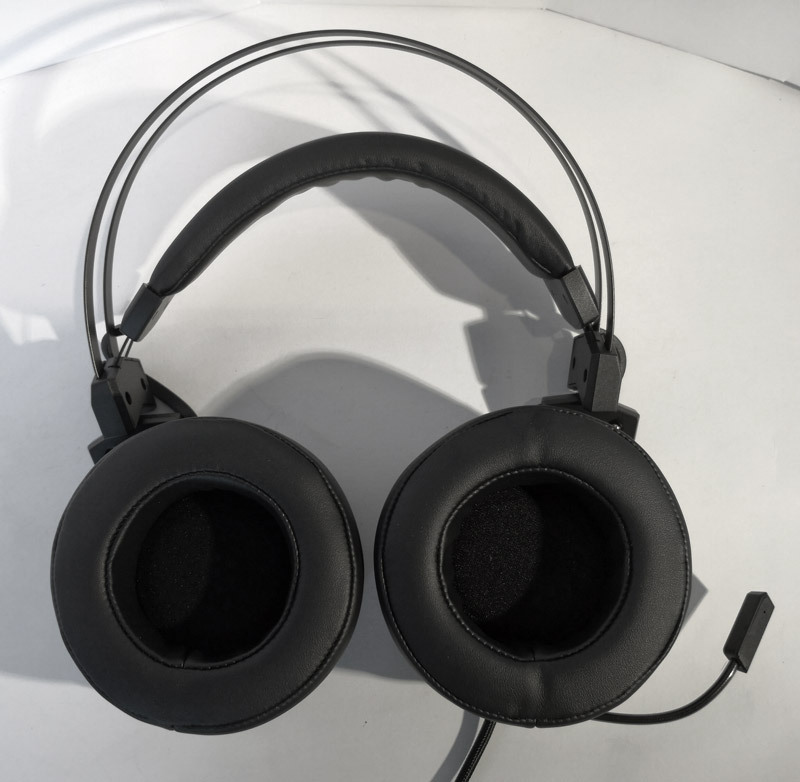 The headphones are very comfortable to wear and don't disturb people who wear glasses, nor do you notice the headphones during long gaming sessions, there are no pressure points and I wear the headset for a good 10 hours. I have tested music with various chart songs, including Michael Jackson and classical music. Also here there is hardly any reason for criticism, but one notices the bass-heavy gaming design. The headphones are nevertheless well suited for chart music enjoyment. But for classical music I would rather use studio headphones, which are much more expensive. 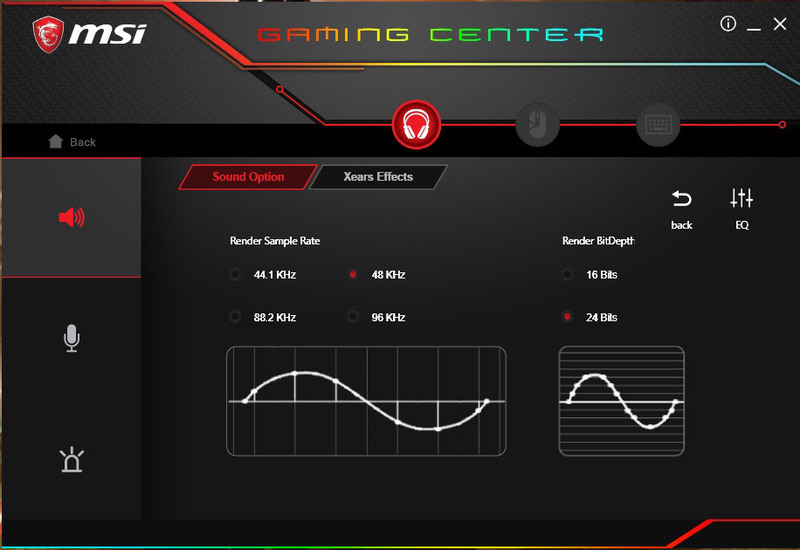 The MSI Immerse GH70 is definitely capable of action films, and movies on a PC become a "blast" here. I watched the Blue-rays Star Wars Rouge One, Wonderwoman and Tomb Raider. Let's get to the microphone. Here was tested with Teamspeak 3 and different interlocutors. These confirm throughout the good speech quality and the natural sound of the voice. The flexible arm allows the microphone to be adjusted perfectly. I also recorded a small voice sample, here you can get your own picture of the recording quality. 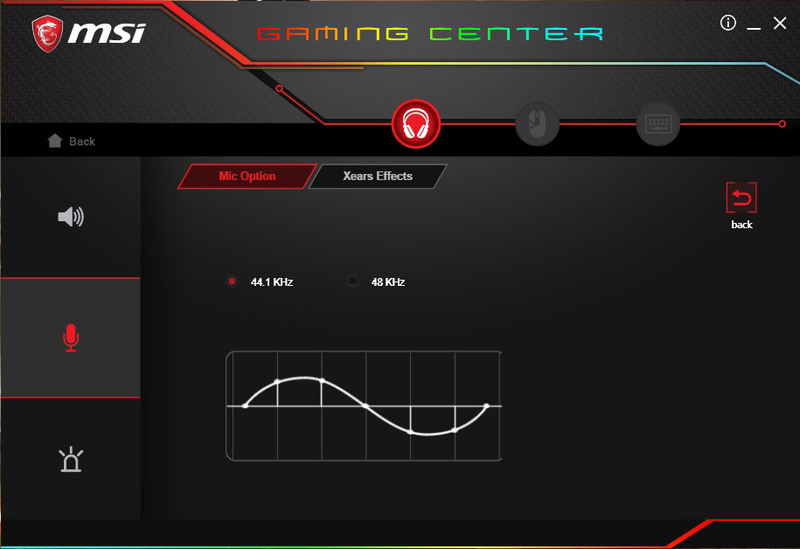 The MSI GH70 Immerse GH70 headset is controlled by the MSI Gaming App. 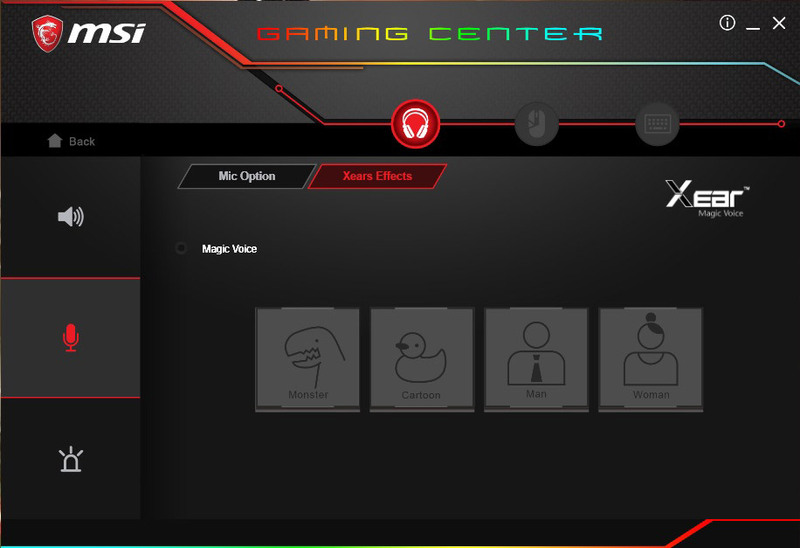 With this app you can control MSI headset as well as mouse and keyboard. 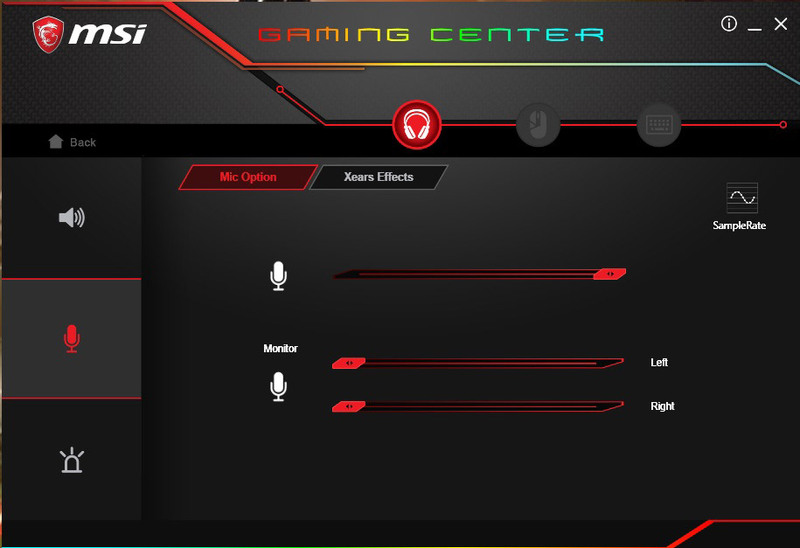 On the start page you can see the volume control of the headset and the microphone. Also the LED can be switched on or off. Clicking on the headset takes you to the next page. ... we get to the settings of the microphone. And the possible microphone effects. 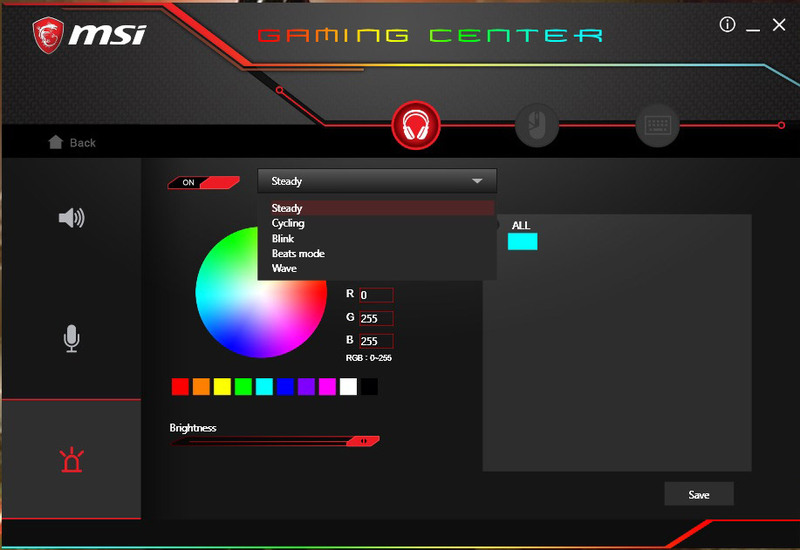 Now we come to the illumination of the MSI Immerse GH70 headset by clicking on the small LED. Here we see the different lighting effects. On photos RGB effects are poor to display, therefore there is a small video, which I loaded on my YT channel. 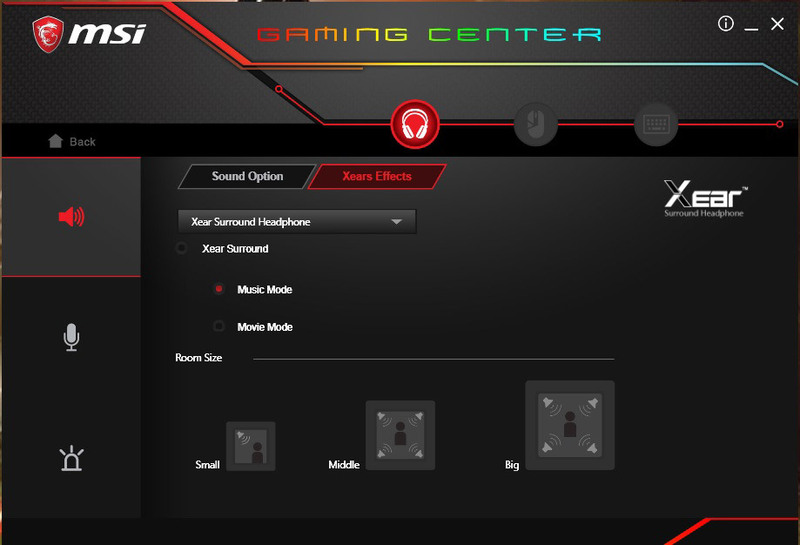 MSI offers with the MSI Immerse GH70 7.1 USB Headset a really successful piece of hardware. 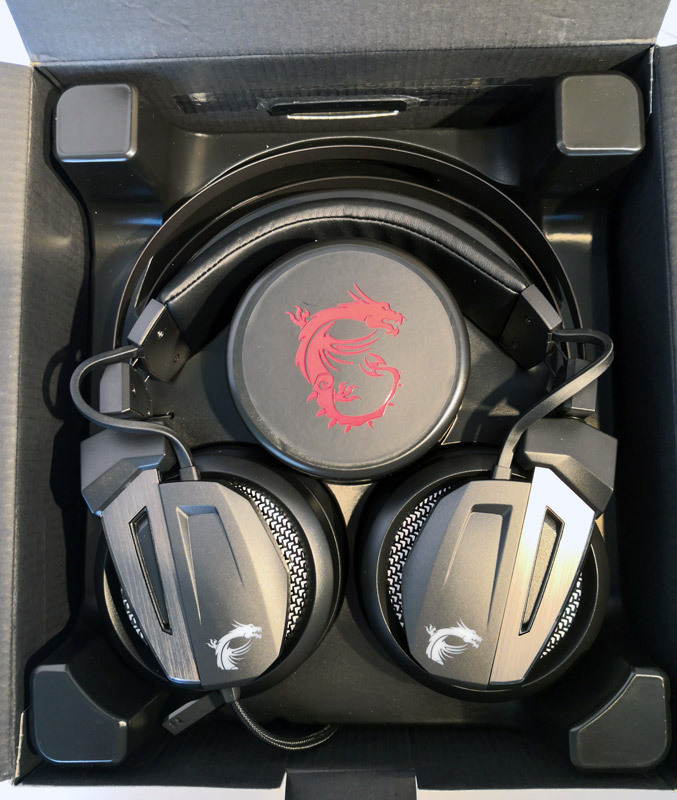 The sound is quite above average for a gaming headset and also well suited for chart music, the headset loves action movies. Due to the typical gaming bass load, the effects "pop" here and it's just fun. For classical music, the GH70 has to fit, the dynamics are simply missing. In addition, the wearing comfort is very good, even after long sessions you never feel uncomfortable with the headset and it is also suitable for wearers of glasses. I also like the current price of almost 100 Euro, which I think is a reasonable price. 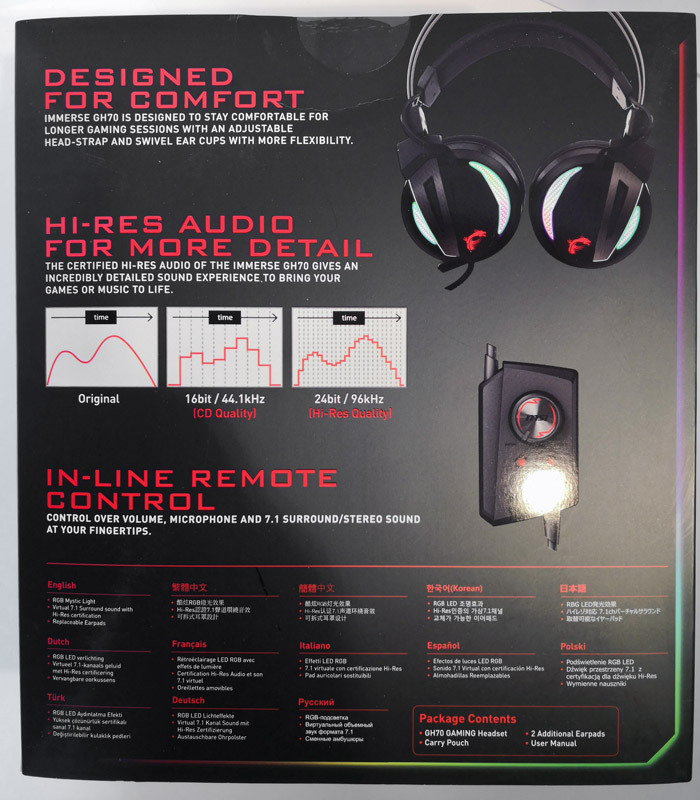 I can absolutely recommend the headset! The reader review is again very good and your video and audio sample complete your test again positive.